While digital currency enthusiasts should take heart in Bitcoin’s first monthly increase since July, the outlook for the original cryptocurrency remains cloudy. Bitcoin gained 11% in February, the largest increase since it rallied 30% seven months ago, when it changed hands at around $7 690. It closed at about $3 800 on Thursday in New York. 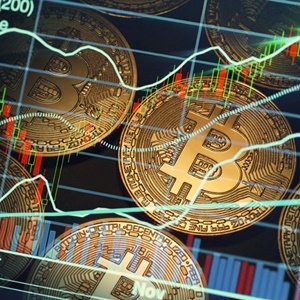 Bitcoin helped to push the broader market higher, with the Bloomberg Galaxy Crypto Index increasing 16% in February, also the first positive month since July. Some technical measures followed by traders to forecast price changes would suggest otherwise. Based on the GTI Global Strength Indicator, a measure of upward and downward movements of successive closing prices, Bitcoin is in overbought territory. In addition, the magenta tail in the chart below signals a downtrend forming, which could take the coin to new lows after it failed to sustain $4 000 for the third consecutive month. For the bulls, the negative technical gauges may not matter. “Even though we’re still officially in a bear market there is plenty of cause for optimism,” Greenspan wrote.